I've resided myself to the fact that I'm a terrible blogger!! My ability to keep it upto date is shocking! Anyway, I have started a new job, and so 5 weeks in, that's my reason why I've not blogged, much apologies my avid reader! Now firstly, I have something to tell you all, last month I was contacted by Woman and Home Magazine. ME! They wanted some more information about my allotment and about me to possibly do an article on women and there allotments. As it turned out I didn't fit the criteria, they wanted to focus more on someone who made jams. But I was so proud they'd even read my blog and said it was fabulous! I'm currently in the process of moving all the raised beds further apart it drove my mad last year constantly strimming around them and would have been a lot easier if I could have gotten a lawnmower down there. There's not much growing either than rhubarb and that's because I've not had to do anything with it, I know I'll regret not seeding anything yet, but I just have to find the time! 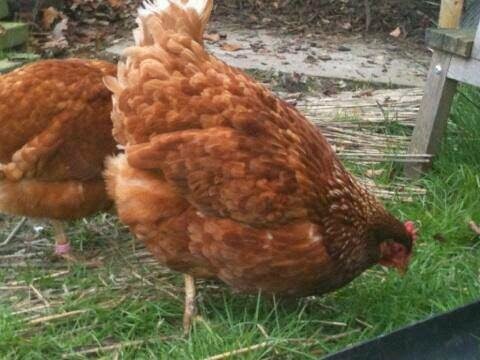 The hen pen is currently being extended to accommodate some new ex battery hens, Papa O and my step mum came to help me this weekend, he's got over the mouse and the hat incident, thankfully. I'm so looking forward to the clocks changing and having the nights a bit lighter, so much more can be achieved on the plot in the summer. Having said that with life so busy at the moment on somedays I'm just enjoying going to the plot taking my book, having a brew and chatting to the hens, its amazing how much calmer I can feel when I've been there for an hour or two. 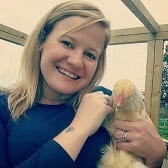 This weekend will be all about planting seeds, getting new hens, making new hen houses oh and a good couple of lie ins! !